Denise, scootering under the influence! I wanted to share my recent travels on my Travelscoot with you. We went on a cruise once again, this time out of New Orleans on the Navigator of the Seas. 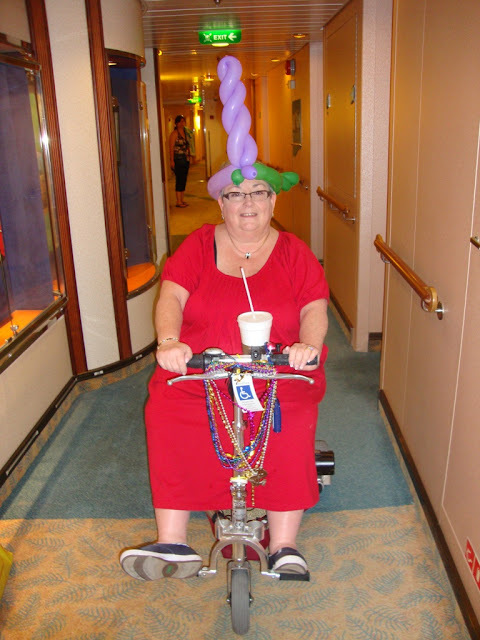 We were traveling with a group of friends from the website Cruise-Addicts.com and my friend from Minnesota Jan also uses a Travelscoot. 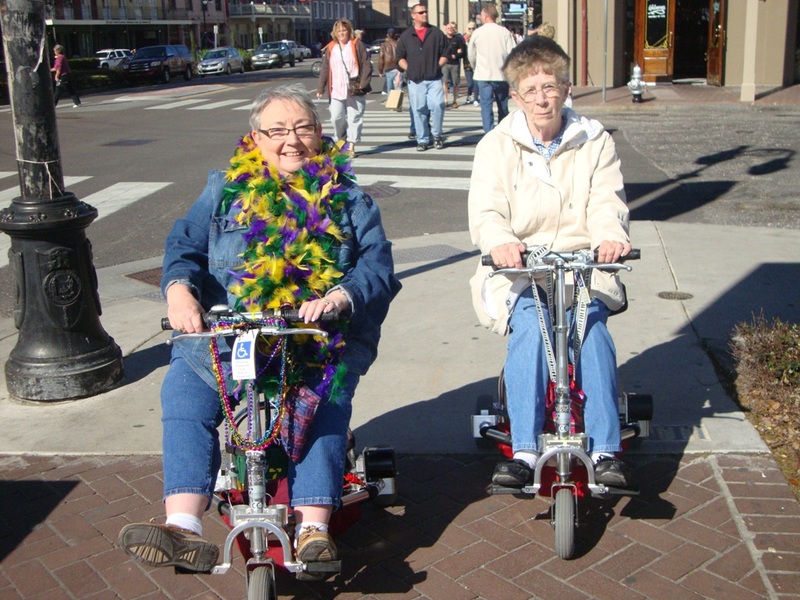 I've attached a picture of Jan and me on our Travelscoots on the streets of New Orleans. Next is a picture of Jan scootering down the International pier in Cozumel Mexico. And then a pic of me after too many Margaritas.....and yes, I should have gotten a SUI (Scootering Under the Influence). 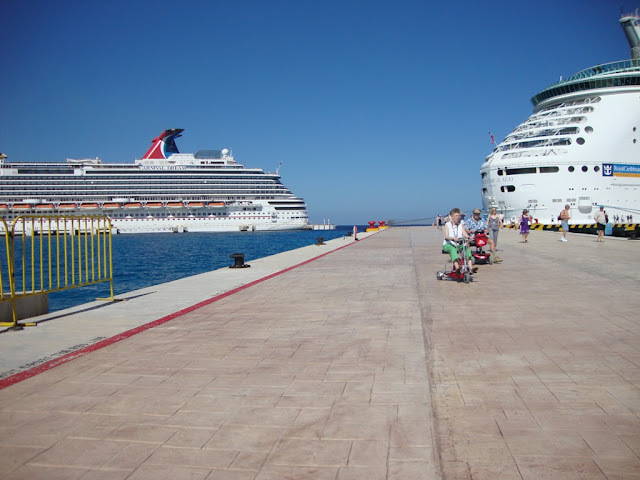 Once again another GREAT vacation made possible because we can get around and tour on our Travelscoots!